It's so why is there a new lite lager being made when the beer industry is moving towards styles of beer that nobody thought would exist ten years ago? 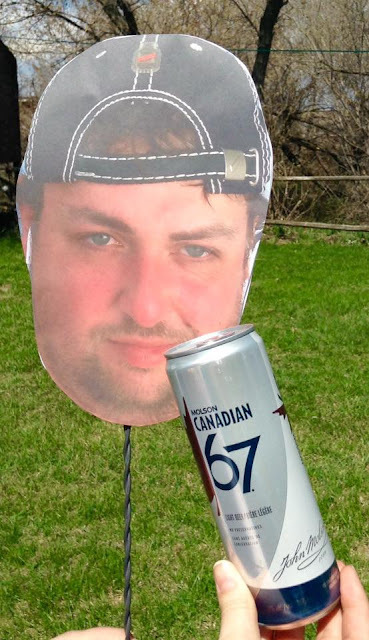 Well.. here in Manitoba, Bud Light is still the king of beers so Fort Garry Brewing had to come out with a light lager that would be suitable for golfers during the hot, sunny Manitoban summers. 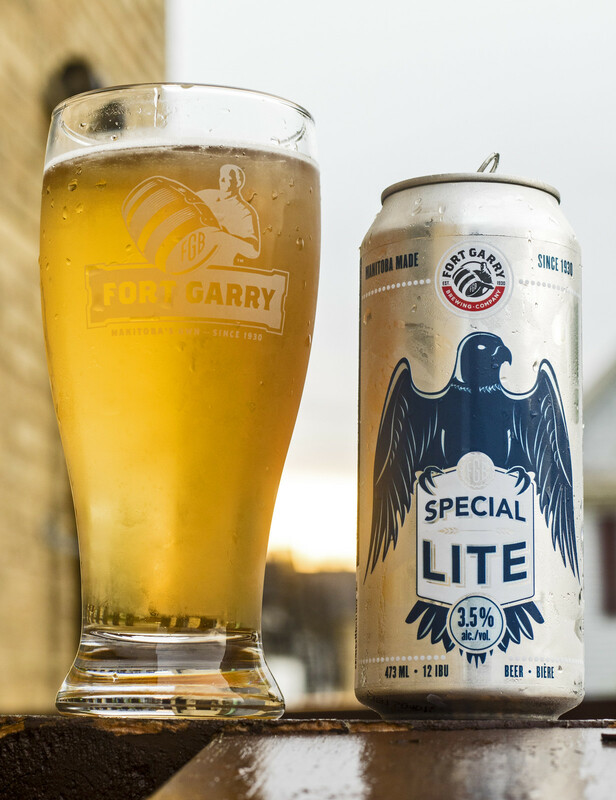 Sure, Fort Garry already has Premium Light (4.0% ABV), but Special Lite (3.5% ABV) is for those who want a more concentrated golf swing on the course. Appearance: Special Lite pours just like your typical light beer, it's light blonde in colour with a good amount of carbonation taking place in the bottle, a light amount of foam on top but leaving behind a good amount of snow white film on the top of the beer. Aroma: This is a crisp, light lager with a hefty amount of toasted malt to give it an aroma of Saturday morning cereal if you happened to come from a family that didn't believe in overly sugary cereals. There's a bit of creamed corn, a hint of sweetness that, again, comes from the malt (a bit reminiscent of if you were about to make a puffed wheat but used puffed barley instead). 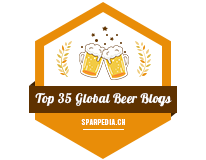 Taste: This is an incredibly malt-forward lager even with it being 3.5% ABV. I'm getting a sweet barley presence with a bit of honey, a bit of grittiness from the barley and a bit of grassiness from the hops. Honestly, this will likely be too much for the typical Manitoban golfer as the malt profile is giving off the puffed wheat barley presence again. It's gritty, sweet, and grassy. I think that this would be popular with golfers who prefer craft beer over the typical Bud Light you see at every licensed establishment in the entire province. For those who aren't Bud Light fans, this will likely be an acceptable alternative seeing that this has a hefty malt profile for only being 3.5% ABV so you're not likely going to get a buzz going after a few rounds of golf. Overall Thoughts: Fort Garry's Special Lite is definitely more flavourful than Bud Light or the old time Manitoba favourite, Labatt Special Lite (or better known as Labatt Lite). It's a sweet, grainy, malty yet grassy lager that will be liked by golfers who don't happen to like Bud Light.. but that's about it. 3.5%/12 IBU. I can't see this beer being popular outside of the summer months, but seeing it has a low ABV, craft beer drinking golfers will be able to drink this without getting a huge buzz. Will this replace their Premium Light Lager? No. That being said, as of May 2018, you can find cans of Fort Garry Special Lite at Liquor Marts throughout Manitoba for $3.01 per 473mL can.